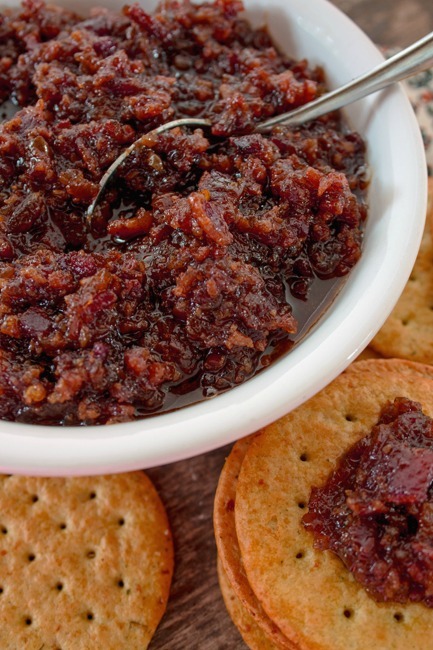 I had never heard of Bacon Jam until my brother told me he had made it and loved it. That was over a year ago and once again I’m wondering why I waited so long to make it! It has a delicious unique flavor that will compliment many foods as well as being fantastic all by itself as an appetizer. This recipe is made in the crock pot, which made me extremely happy with the heat and humidity we’ve been having. I made this with a thick cut Applewood Smoked Bacon to add one more layer of amazing flavor. You can use a thick cut bacon of your choice. Regardless of what you use it for, topping burgers or simply adorning a cracker with it, your going to love it, ENJOY! Place the bacon pieces in a large skillet, cook until light brown. Drain bacon on paper towels and set aside. Drain all but one Tablespoon of bacon grease from the pan. Add the garlic and onions to the pan and cook until soft. Add the vinegar, maple syrup. brown sugar and coffee to the skillet with the onions and garlic. Bring mixture to a boil, stirring and scraping the bottom of the pan to release the bits on the bottom. Add the bacon and pepper flakes to the pan and stir. Place the mixture into a 6 quart crock pot. Cook on high heat, uncovered for 3 - 4 hours until the liquid becomes syrupy. Transfer the mixture to a food processor and process until it's coarsely chopped. 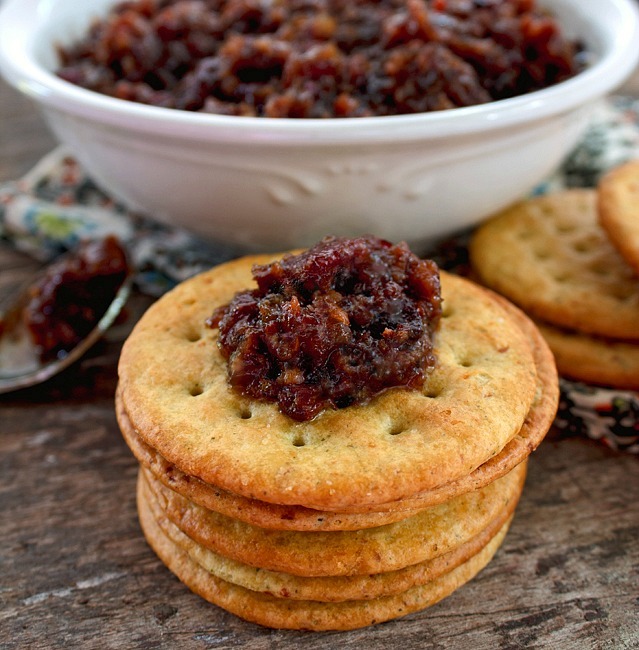 Let the Bacon Jam cool, refrigerate in a covered container for up to 4 weeks. You store the Bacon Jam in the fridge Joyce. It’ll keep for a couple weeks in there. 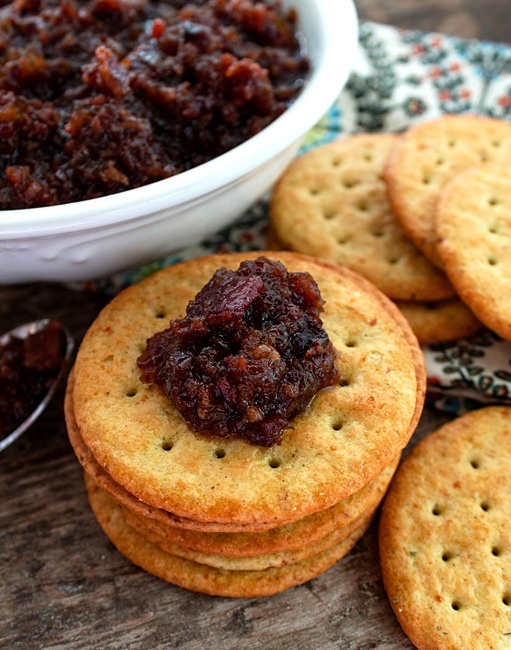 I got about 2 cups of Bacon Jam out of the recipe. If I am making this as an appetizer, could I serve right out of the crock pot or is it best chilled?